The Wisconsin Secretary of State manages a corporate division which keeps record of all the commercial activities going on in the state. 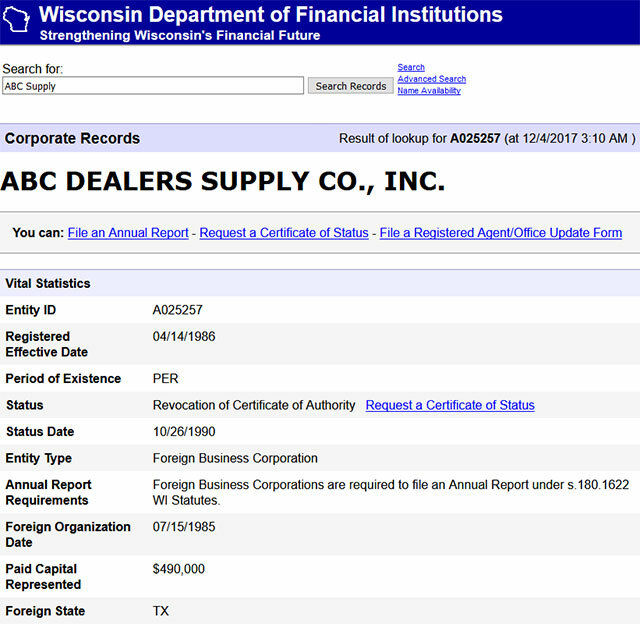 The business corporation registry keeps track of all those corporate entities that are registered with the Wisconsin Secretary of State. All entities including Corporations, Limited Liability Companies, Limited Companies, Limited Liability Partnerships and Limited Partnerships, have their details recorded in the registry. If you are finding a corporate entity that is based in Wisconsin, this is the right place for you. By using the online business entity search tool facilitated by the Secretary of State of Wisconsin, you can search the online database for any entity headquartered in the state. You can perform the search provided you have the corporate name handy. The search page is also made feasible for advanced search. Below is a step by step guidelines on how to use the Wisconsin business search tool. 1. First step is to access the Wisconsin business search page by clicking here. The page looks similar to the screenshot below. 2. This business search form allows you to search by name. For this example go ahead and type "ABC Supply" and then click the "Search Records" button as shown in the screenshot below. 3. Once you click the "Search Records" button it will display a list of results that match your search criteria. It will show the entity name, registered date, status and status date for each business entity found. To view the details of a business click the entity name as shown in the screenshot below. 4. Click on the entity name to get further details about the same like entity id, status, type and address of the entity. The screenshot below shows the details. You can also file online reports and request certification of standing for the entity. The Secretary of State of Wisconsin is one of the constitutionally elected executive branches of the Wisconsin State Government. The succession of the Secretary of State of Wisconsin lies in second for the Governor post. The election of the Wisconsin Secretary of State takes place on the election day in November and he takes office on the first Monday of next January. The current office holder is Doug La Follete. 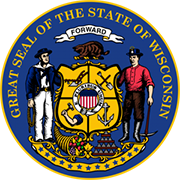 The Secretary of State of Wisconsin is responsible for a wide set of duties in the state. He is in charge of keeping record of all the legislative and executive acts in the state. He also acts as the custodian to the Great Seal of the State of Wisconsin and has the authority to attest and authenticate government documents using the seal.